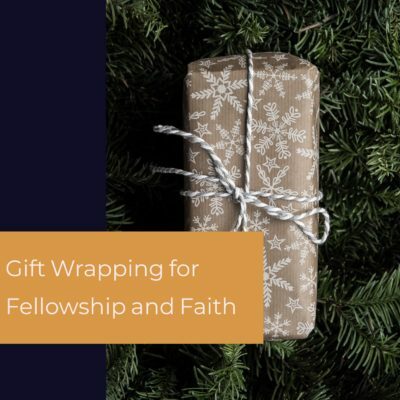 You can help provide Christmas gifts to people in need through Fellowship and Faith. You are invited to help organize and wrap gifts for individuals and families from 9 a.m. to 12 noon on December 1 or December 8. Plan to meet at Fellowship and Faith at 708 SE Lime Street // Email Teresa Stambaugh at tstambaugh@cox.net or sign up on the clipboard on the Welcome Table outside the sanctuary.